Way back when I was an active San Diego Junior Leaguer, we put together a cookbook to raise funds. This was one of the recipes I tested for that cookbook. 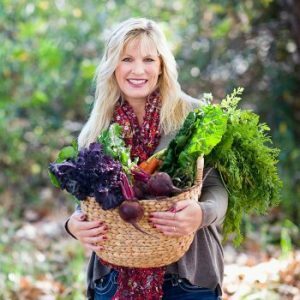 It was tested and rated by 3 to 4 people, and it was deemed delicious enough to make the cut and appear in the finished book: California Sol Food (still available for purchase!). 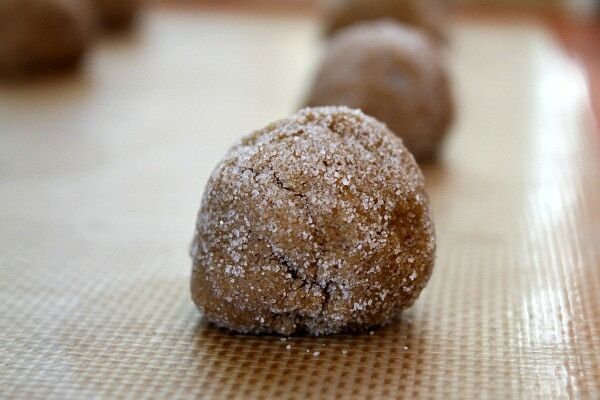 A simple gingersnap dough is rolled into balls and then rolled in sugar. Let me explain about the hot and spicy. 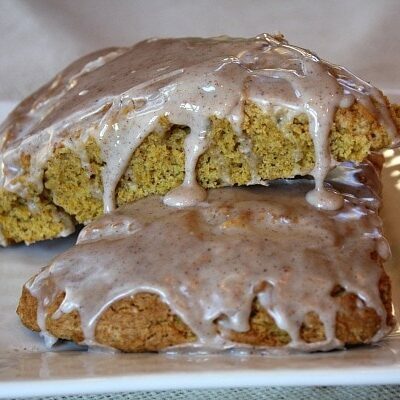 The “hot” in the recipe comes from the addition of cayenne pepper. 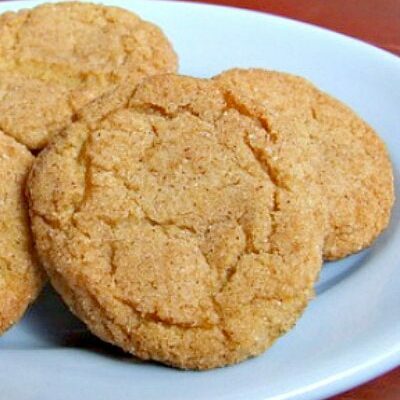 The “spicy” just refers to the typical spices found in a classic gingersnap cookie (ginger, cloves, cinnamon). More details on the “hot and spicy” reference. #1: I don’t like spicy food. My husband doesn’t like spicy food. My kid won’t even try spicy food! But we enjoyed these cookies! #2: I gave a cookie to my kiddo, let him eat it and then asked for his feedback. me: Are they spicy… as in spicy hot? kiddo: No. Why, are they supposed to be? me: I added a little cayenne pepper in there. kiddo: Oh. (after a couple of minutes…) Now I can taste it. The heat comes through a couple minutes after you eat it, but it’s not super hot or anything. When these cookies bake, they get the best crackles and crevices ever. Check out those cookie crackles! Pretty perfect. 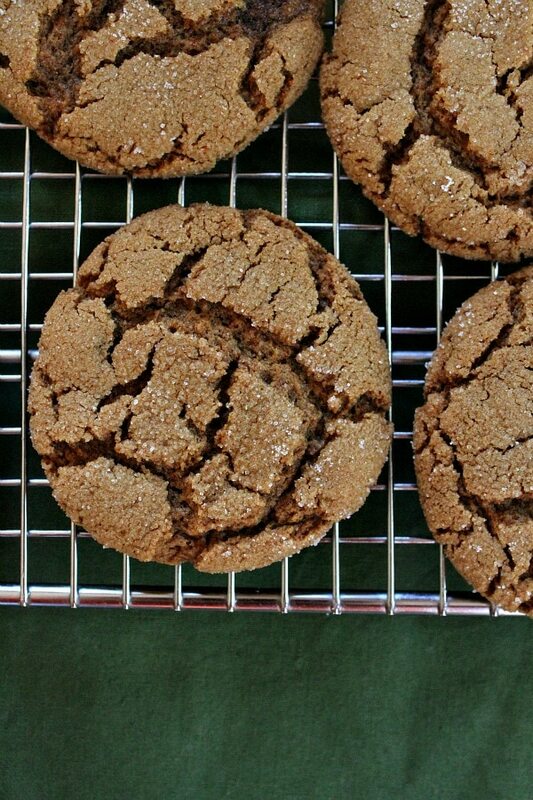 So there you go- some gingersnap cookies that have a teeny tiny “bite” to them… makes ’em kind of unique and special. I have so many goodies in the works this year that I’ve never made before… some chocolate- caramel cookies, jelly sandwich cookies, vanilla cut-outs, and a couple of gluten free varieties too. I want to make some candies, a trifle and a gingerbread roll. All of that and I’d like to lose about 8 pounds before Christmas. Yeah, good luck with that one, right? My secret… chewing lots and lots of gum and/or drinking green tea while baking! And gifting a whole lot of treats! What are you baking this year? Cayenne gives it that KICK... not too spicy, but just enough to make it have a little bite. 2. Whisk together the flour, baking soda, ginger, cinnamon, cloves, salt and cayenne pepper in a medium bowl. 3. 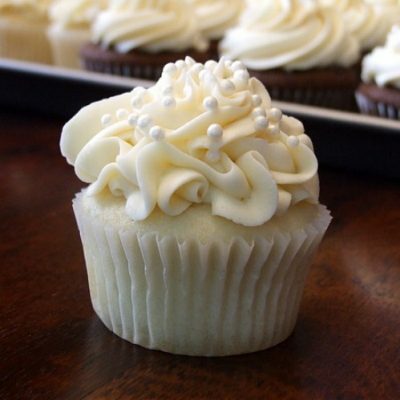 Use an electric mixer to beat the butter in a large mixing bowl until light and fluffy. Add the brown sugar and 1/2 cup white sugar and beat until blended. Blend in the molasses. Add egg whites one at a time, mixing well after each addition. Add the flour mixture 1/3 at a time and beat until blended after each addition. 4. Spread 2 to 4 tablespoons sugar on a small plate. Shape the dough into 3/4-inch balls and roll in the sugar until lightly coated. Arrange the balls 1 inch apart on a cookie sheet lined with baking parchment. 5. Bake 8 to 10 minutes or until brown. Cool on the cookie sheet for 2 minutes. Remove to a wire rack to cool completely. Store in an airtight container. My dad loves gingersnap but have never been able to find a spicy one for him until now! 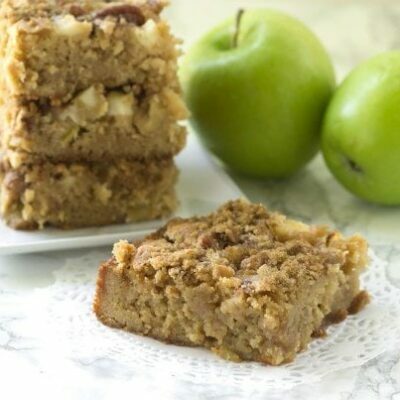 He loves this recipe, but the 8 min baking time was not long enough for the crunchy level he likes so I baked them 11 min and set on the pan for 2 min to cool and that got them closer so the next time I Ann going to try 12 min but the flavor is spot on ! how did you get yours so dark and flat?? I find mine stay quite “ball” like while they bake, should I press them down before baking? Weird! They should flatten on their own, but you can certainly give them a little push to flatten if there is an issue! If I want to use both cayenne and chili powder, do I just add an extra 1/2 teaspoon of chili powder to the recipe? Thanks! I’d probably do 1/4 cayenne and 1/4 chili powder. 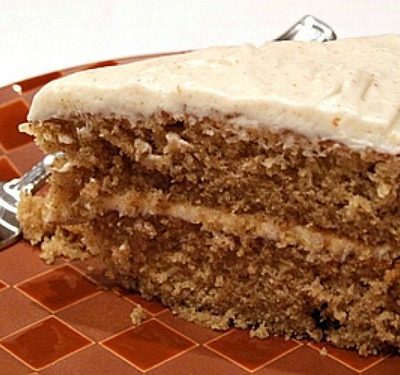 I don’t know where I got this recipe about 8 years ago but it matches yours. My family loves these cookies. Do you the fat content of each cookie? No, I don’t have the nutritional information for these. Sorry! I just made these. They took a couple minutes longer to start cracking, so my anxiety rose, but they did crack and they’re beautiful and delicious when still warm. I added a small amount of extra ginger as allowed, and I made the second tray with extra cayenne sprinkled on. My 89-year-old father-in-law appreciates heat, and this is his bday present. I just tried one. Fabulous. My only real caveat is to point out that the pics make the cookies look darker than IRL. In the oven, the color never changed much from the color in the bowl, and the inside only turns darker as it cools, so that didn’t work for me as a way to know when they were done. 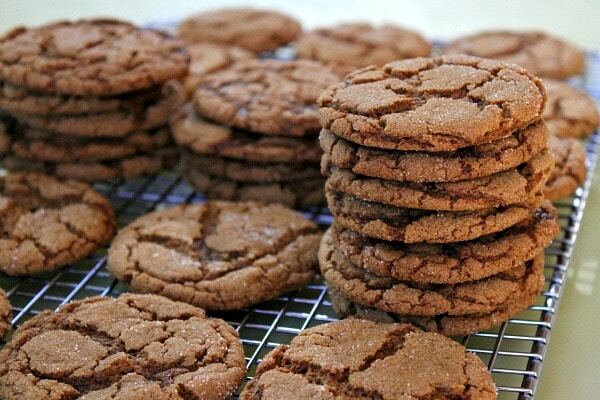 These are the best gingersnap cookies I’ve ever had. I made them for my family for Christmas and they fell absolutely in love, and they’re super picky with sweets! I had to throw these out, way too much cayenne and they were too doughy. Perfectly spicy and delicious! I have my last batch cooking at the moment. I can’t wait to have a couple with a big mug of cinnamon tea tonight at work. I will be making these again. Just made these and they are perfect. 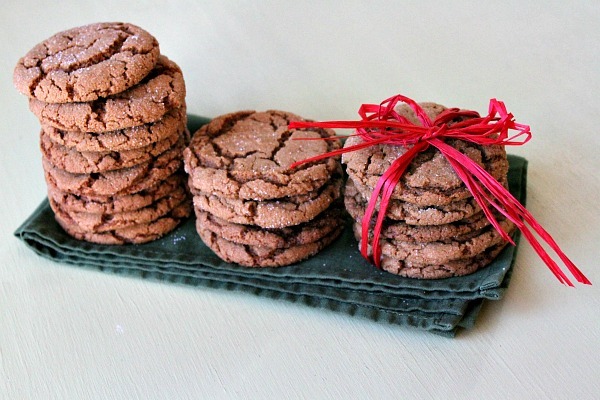 I love gingersnaps and am always trying a new way to make them, but this is my recipe from now on. Finally a recipe that is spicy enough for me–I admit I was heavy handed on the ginger and cayenne! We made these and they are probably one of the best of this type I’ve ever had. Definitely doing this again. Thanks. These are simply amazing. I love the kick and they bake so well…a true winner. Yum! 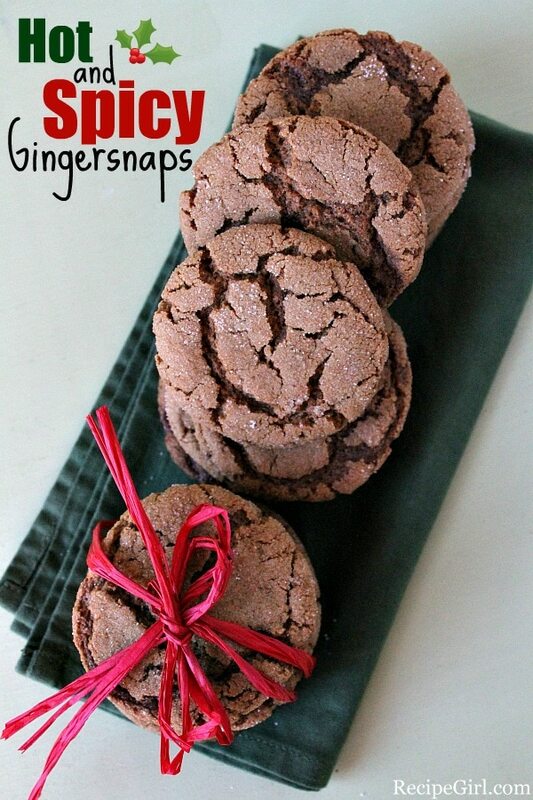 I have never made gingersnaps, just made these and they turned out amazing! Taking them to our church Christmas party tomorrow night. I didn’t have any molasses so I substituted some cane syrup molasses that my neighbor gave me. Thanks for sharing! I baked these yesterday and they were delicious. 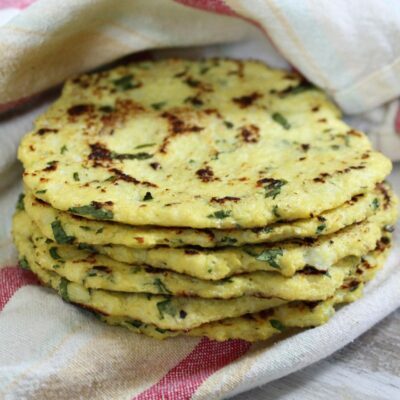 They were the perfect texture, and so flavorful. 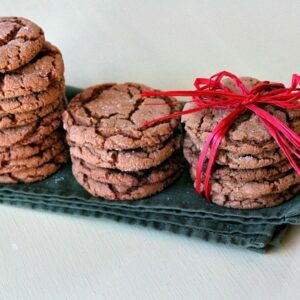 I had never made gingersnaps myself and I am so glad I found your post. 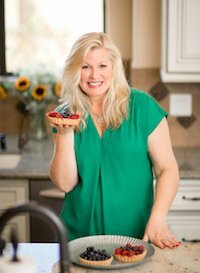 Thanks for another wonderful recipe Lori. I made these for an event and they received rave reviews. They are just the right amount of soft and chewy – plus the cayenne adds an unexpected treat.